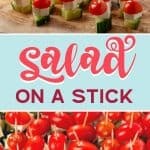 Salad On A Stick is an insanely easy to make healthy appetizer. 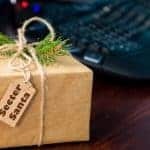 Best of all it’s got a simple and short ingredient list! It’s a good idea to have some make ahead appetizers that are simple and easy to execute. 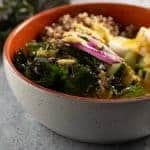 And it’s also a great idea that a few of the recipes are going to be healthy appetizers. Because Feta cheese is such a flavorful ingredient, you won’t need to add additional seasoning. 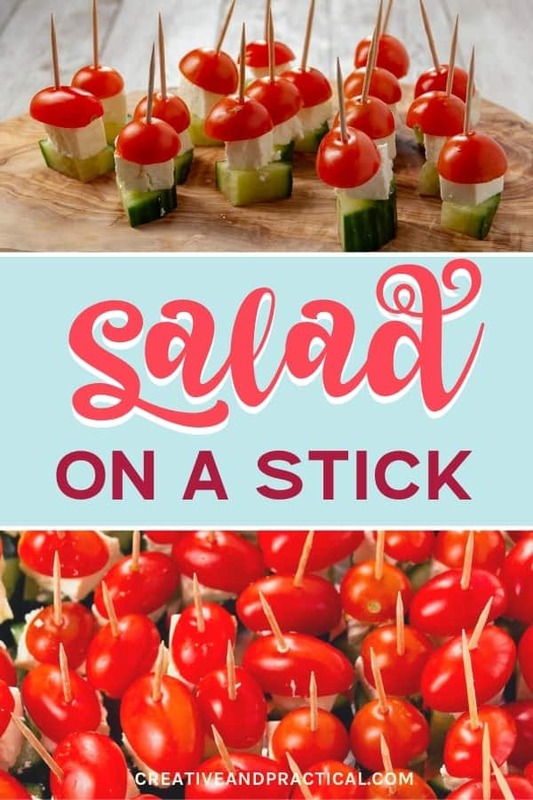 It’s a real bonus that Salad On A Stick is also a healthy appetizer and an excellent vegetarian appetizer option. 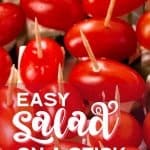 And did I mention that each little salad skewer has only 11 calories! 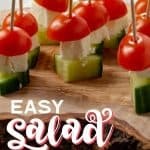 The first time I prepped Salad On A Stick the night before the event I was a bit nervous. Cucumbers can be quite watery. And I feared that I might wake up to a tray full of runny salad skewer mush. Thankfully, that didn’t happen. 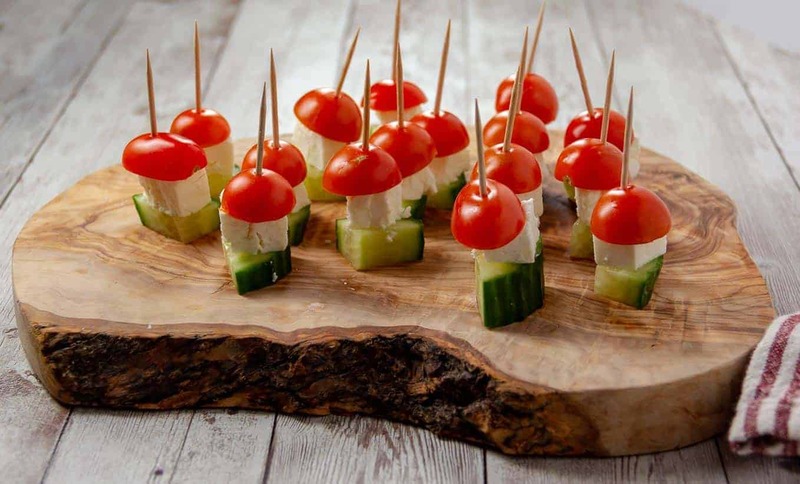 This simple Greek Salad inspired skewer looked just perfect the next day. And it became an instant crowd pleaser. 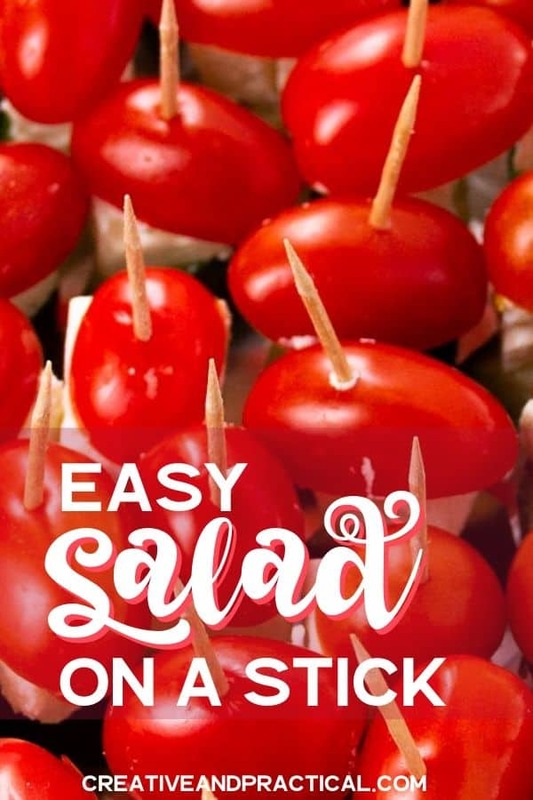 Simple Greek style Salad On A Stick is a healthy appetizer that's quick and easy to prep. 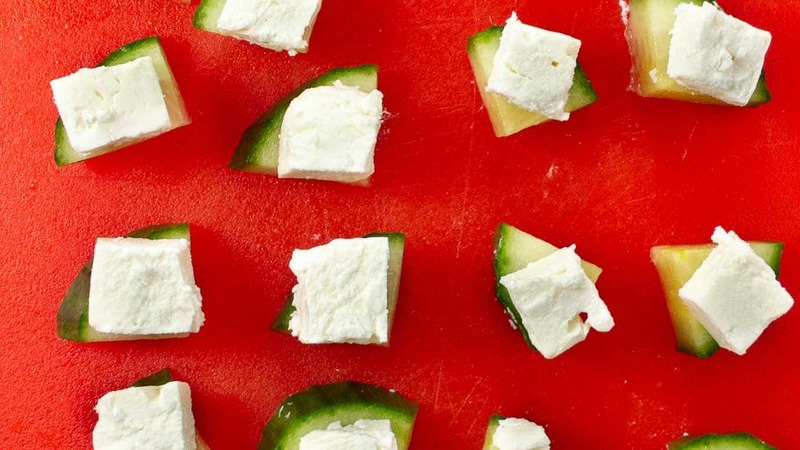 Cut feta cheese into bite-sized cubes. 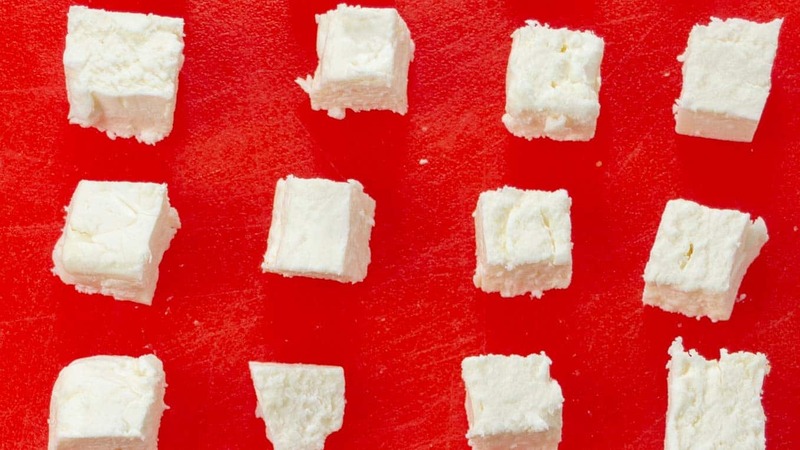 One block of feta cheese should yield about 60 pieces. Cut 1/4 inch slices of cucumber. Cut each slice into 4 wedges. Half cherry tomatoes. 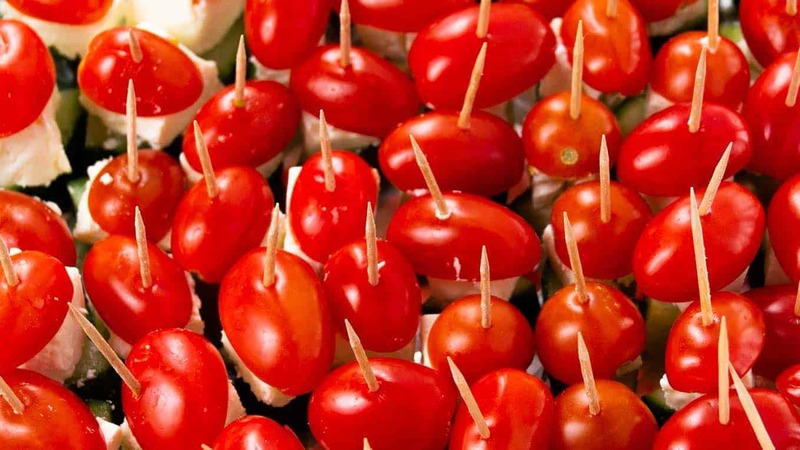 Feed cucumber, feta cheese, and tomatoes onto the skewers. That’s a great appetizer idea. We have a bunch of people coming over for the Super Bowl and not everybody likes chicken wings!